The healing center was created in 1990 by maestro Don Juan Tangoa Paima. It is located in Don Juan’s own house, in the city of Iquitos, in the Peruvian Amazon. The center is open to everyone in the world who wants to experience Ayahuasca ceremonies, to be healed and to learn this healing science. Don Juan has created this center with the goal of making available to the world the ancient wisdom of healing and passing along this knowledge that is rapidly disappearing. Healing is available for all kinds of physical and mental illnesses know and unknown. The Ayahuasca and other natural plant remedies are used, along with special diets. We treat the causes of illness, not just the symptoms. by cleansing the body, mind, and spirit. We drink Ayahuasca twice a week, depending on need, normally on Monday and Thursday nights, please visit the center to know about the next ceremonies days. People come to the center for many reasons, you are welcome to stay as long as you wish. Some come to participate in traditional Ayahuasca ceremonies, some for healing, others for learning. A good option to get to know the Ayahuasca and the Yacu Puma Center is joining an Ayahuasca ceremony. Don Juan usually conducts Ayahuasca ceremonies twice a week, Mondays and Thursdays or Tuesdays & Saturdays, the ceremony days can be changed by Don Juan’s preferences. The ceremony begins around 8:00 pm and is over at 2:00 am – 3:00 am, usually around 6 hours, if you planing to join just the ceremony, please come earlier and talk to Don Juan. It is very important to speak with Don Juan (the curandero) before attending the ceremony and explaining him why you want to drink and if you have any health problems (body or spirit). You can stay overnight in the Maloca after the ceremony until the next morning. It is best to inform us before you coming, so we can prepare. One who knows how to use Ayahuasca can heal himself and others from almost any kind of illness known and unknown to science. Our belief is that everything can be healed with the power of one’s will, special diets and healing plants. We offer a healing program that follows a natural way: Ayahuasca ceremonies as a guide line, diets and other plants that may vary from one person to another. We help patients get their bodies and spirits in balance, understand why the illness appeared and how to heal it. Every problem is different. therefore the healing period varies from one person to another. A complicated problem will take longer to heal than simple one. We will examine each problem at the center and we’ll try to give an estimate how long the healing period will take. Now at modern days the Ayahuasca culture is slowly vanishing from the world and with it ancient knowledge that was passed through generations. We hope to preserve this knowledge and to pass it on. The center is open for everyone regardless of religion and beliefs. We don’t have timetables or classes as are found in western schools. Our school follows the ancient pattern: living alongside with the teacher and learning by watching him work and asking questions. Students learn at their own pace, depending on their abilities and motivation; this is why an apprenticeship can start at any time. Apprenticeship with Ayahuasca is a process of healing, helping to connect deeply to one’s inner self as well as to nature, the cosmos, and the spirit world. 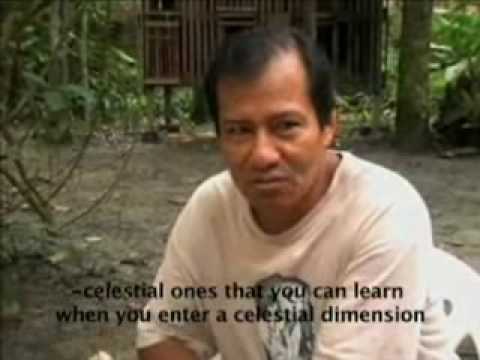 One learns about Ayahuasca and how to use it to heal with mental strength and divine power. Our school follows the ancient pattern: living alongside with the teacher, without timetables or classes. We also have a camp in the jungle, where it is possible to drink Ayahuasca in its natural setting. This camp comprises about 20 hectares of virgin woodland and is well suited for camping. Please contact us for the camp option.